Roku is one of the best, most affordable ways to improve your home entertainment. If you have a high-speed Internet connection, Roku can give you access to many "channels" of both free and paid content, including Amazon Instant, Netflix Instant, Pandora Internet Radio, and more. And if you have a Roku model with USB (HD-XR, XDs, XS, as of this writing), you can stream your own video, music, and/or photos from a flash drive or external hard drive. Works well, but requires you to sign in to a Roku account, so can't be used to control a Roku without access to the Roku account. 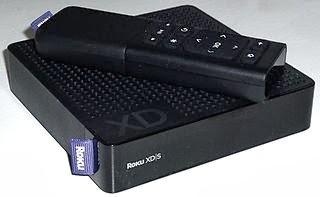 Automatic scanning fails to find the Roku XDs, and a pain to set up manually. Lags after touching controls can make it hard to control a Roku properly. For streaming of your own content through a USB-equipped Roku, a small USB-powered hard drive is a good alternative to a typical USB flash drive, particularly if you have a lot of content, not only much higher capacity, but also much faster. A good choice to match and complement Roku is the Western Digital My Passport, with sale prices as low as $50 for the 500GB size. Perhaps the best alternative to Roku as of this writing is VIZIO Co-Star, a 2nd-generation Google TV box that's similar to Roku. Pros include the more sophisticated Android platform, wealth of Android apps, Chrome Internet browsing, 3D support, DLNA, and HDMI pass-through. Cons include greater complexity, lower maturity, blocking of some content, clunky remote, and less smooth interface. Google TV devices will likely continue to improve. Update (January 7, 2013): Another promising Google TV alternative to Roku is the new NETGEAR NeoTV PRIME. 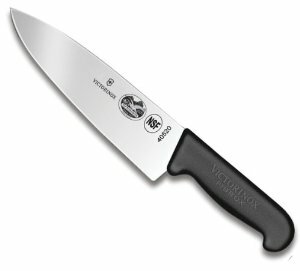 With so many ads for seemingly great knives at cheap prices, why do knowledgeable chef's spend hundreds or even thousands of dollars on their knives? Because there really are huge difference in knives in terms of sharpness, durability, stain resistance, weight and balance, and the cheap knives simply don't measure up to the good ones. But fortunately there is a very good knife line that is affordable, the Victorinox (of Swiss Army Knife fame) Professional (formerly Forschner) with Fibrox handles. Currently on Amazon, the multipurpose 8-Inch Chef's Knife is $25, the versatile 7-Inch Granton Edge Santoku Knife is $33 (can make wafer thin slices that don't stick to the blade), and knife sets start at only $70. Tip: If you're going to keep the knife loose in a drawer, get a Blade Safe to protect both the knife and you.